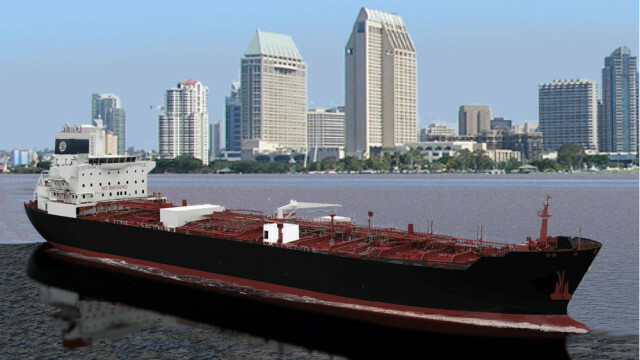 An amendment to the Keystone Pipeline bill under consideration in the Senate could threaten thousands of shipbuilding jobs in San Diego, local business leaders warned Friday. Arizona Sen. John McCain filed an amendment to repeal the nearly century-old Jones Act, which requires goods shipped between American ports to be carried by vessels built in the United States and owned and operated by Americans. General Dynamics NASSCO currently has a total of ten Jones Act ships under contract or construction. The San Diego Military Advisory Council said passage of the amendment would hurt the entire San Diego shipbuilding industry — not only NASSCO, but also many suppliers and subcontractors. “If the Jones Act goes away, then it will inevitably impact tens of thousands of jobs, the industrial base, and will result in higher cost to the Navy to build ships. I don’t understand why the chair of the U.S. Senate Armed Services Committee chooses to operate in this manner,” said Larry Blumberg, executive director of the council. Ironically NASSCO has seen a surge in orders for tanker ships because of the growth in U.S. oil and gas production due to hydraulic fracturing technology, or fracking as it is commonly known. The Keystone Pipeline would bring oil from Canada’s tar sands to refineries on the Gulf of Mexico. “I have long advocated for a full repeal of the Jones Act, an antiquated law that has for too long hindered free trade, made U.S. industry less competitive and raised prices for American consumers,” McCain, a Republican, said in a statement. “The amendment I am introducing again today would eliminate this unnecessary, protectionist restriction. The bill authorizing construction of the Keystone Pipeline is expected to pass Congress, but President Obama has promised to veto it.